Pride-asap is a library written in Java that provides a uniform annotation of identified spectra stored in PRIDE. The application can be ran in a command line mode for automated processing of multiple PRIDE experiments, but also has a graphical user interface that allows end users to annotate the spectra in PRIDE experiments and to inspect the results in detail. If you use pride-asa-pipeline as part of a paper, please include the reference above. The pride-asa-pipeline jar file and all the libraries needed to run the tool. Double clicking this resulting jar file will start the pipeline. See the manual for additional information on how to run and configure the pipeline. 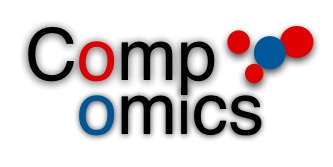 The pride-asa-pipeline makes use of compomics-utilities.